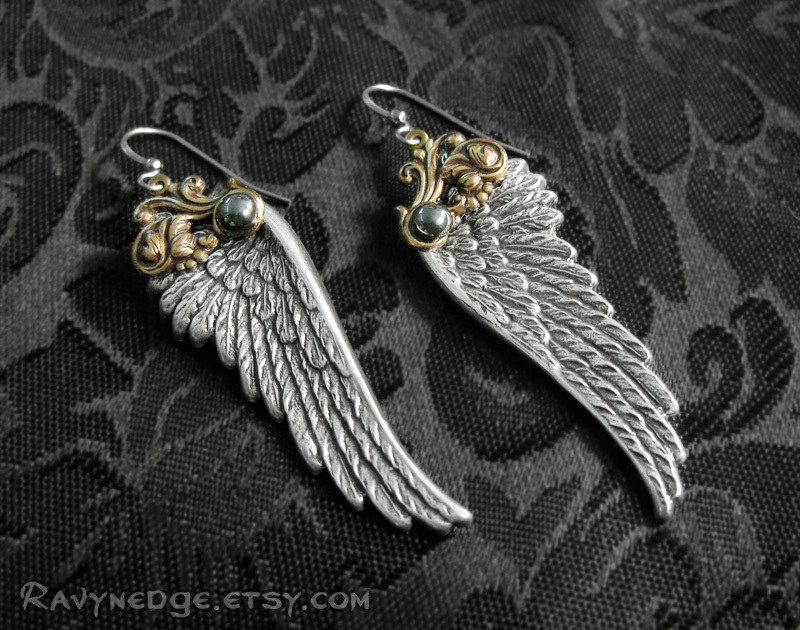 Shining Fate Long Earrings - Hematite and Angel Wing Dangle Earrings by RavynEdge. 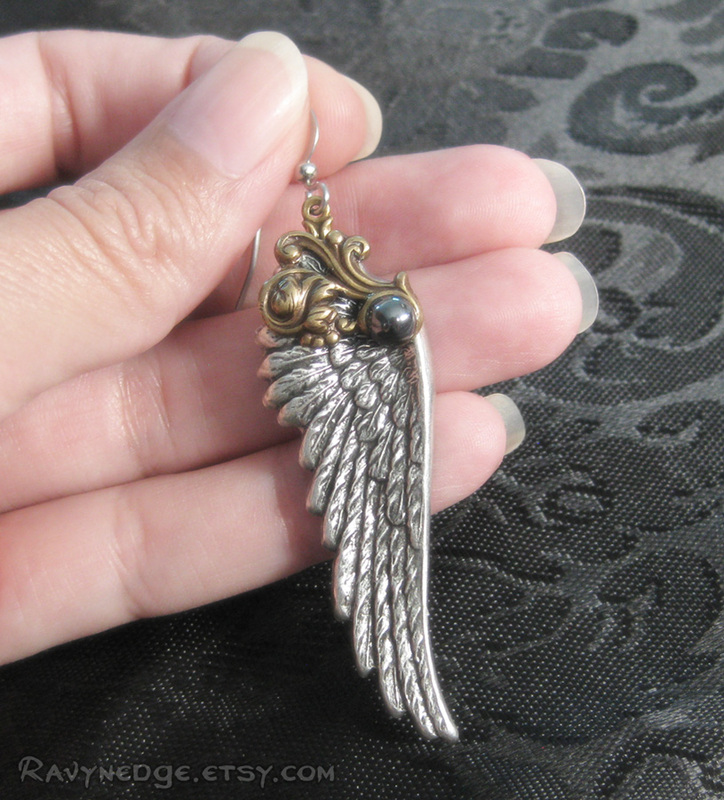 This was a custom creation for a customer who wanted Shining Fate Whisperlings as dangling earrings. Natural hematite in place of the crystal to match the Crest Of Athena Hematite Pendant. Dramatic earrings for a fancy night out or add a bit of glamour to your favorite pair of jeans! 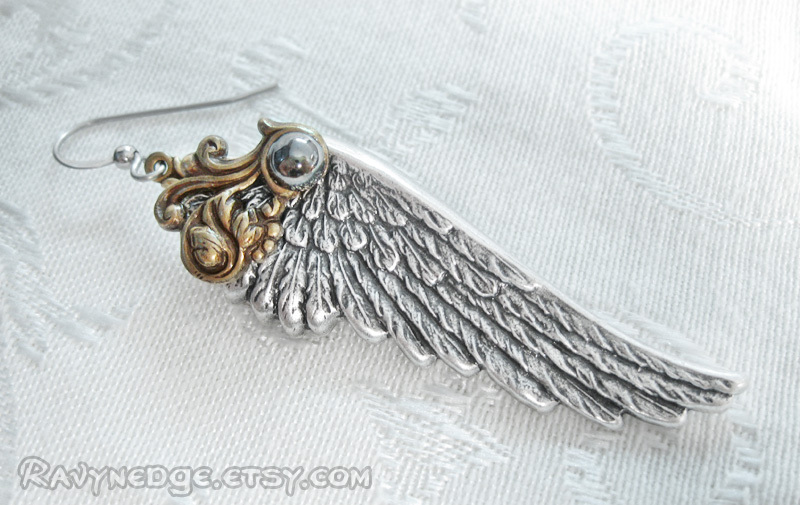 Natural hematite gems shine brilliantly against the brass flourishes over sterling silver plated brass angel wings.